ZENAT Centre for Sustainable Tourism (Zentrum für Nachhaltigen Tourismus) at Eberswalde University for Sustainable Development near Berlin is one of the leading institutions in Germany for applied research and policy advice in the field of sustainable tourism. Its M.A. in Sustainable Tourism Management has been a first in Germany and is well rooted in the environmental movement. ZENAT’s approach to sustainable tourism is both critical and implementation-oriented. Which topics linked to tourism and sustainability are you most passionate about at ZENAT? We like the concept how tourism in protected areas and in rural destinations around the world can be managed in a way that it actively contributes to biodiversity conservation and rural development, especially in developing countries. Southern Africa in particular has many fine examples of this work. Secondly, in an era of weakened national states, Corporate Social Responsibility becomes an indispensable part of sustainable tourism. We believe in formal reporting and certification to show that companies actually do act in a responsible way, rather than just practice greenwashing. 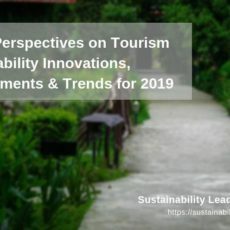 Thirdly, we are convinced that tourism needs to take climate change into account much more than it does today – not a particularly pleasant topic, but one that will be decisive for the long-term viability of tourism. Five hashtags which best describe ZENAT? Wolfgang Strasdas studied environmental planning and natural resource management in Hannover and Seattle with a focus on tourism. 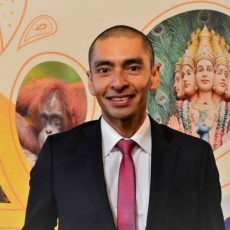 In 1991 first research projects on sustainable tourism, followed by the start of a career as a tourism consultant in international development cooperation in 1994. In 2001 PhD at the Technical University of Berlin on the subject of ecotourism in Mexico and Belize. In 2002 Wolfgang Strasdas became a professor at the University of Eberswalde, where he developed the Sustainable Tourism Management Master course. He directs the research-oriented ZENAT Centre for Sustainable Tourism since 2014. 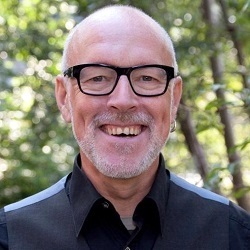 Wolfgang Strasdas is part of our virtual expert panel. Read our interview with Professor Strasdas here. 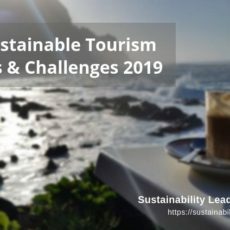 How can sustainable tourism professionals engage with you? We are always interested in expanding our international network with other universities to exchange both lecturers and students. Secondly, we are potential partners for international research projects. And we work as consultants for tourism destinations, conservation projects and in development cooperation.